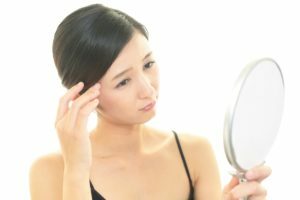 Sun exposure, hormonal shifts, and genetics are often blamed for a wide variety of skin care issues such as acne, rosacea, wrinkles, and pigmentation problems. Little attention is given to the nutritional aspect of the problem. At North Coast Laser Cosmetics, our multi-dimensional approach in the diagnosis and treatment of skincare issues also takes diet and nutrition into consideration — your fat consumption, for example. The word fat usually has a negative connotation due to its association with excessive weight gain. In truth, fat plays several crucial functions in promoting overall health such as maintaining core body temperature and facilitating absorption of certain vitamins. In maintaining optimum skin health, the fatty acids omega-3 and omega-6 play a critical role in promoting skin growth and maintaining normal skin barrier functions. In 2010, another team of scientists reinforced the results of the Burr study. While the Burrs focused on the lack of linoleic acid as the main culprit behind the mice’s skin problems, the 2010 report found that another fatty acid may play an important role in maintaining optimum skin health — arachidonic acid. We’re not telling you to feast on those greasy french fries to keep your skin healthy and young looking. The takeaway here is to consume healthy fats such as those found in fatty fish, avocado, coconut oil, lard, whole milk, and whole butter. Would you like to learn more about keeping your skin healthy and naturally glowing through diet? We’d love to hear from you! Call us at 440.639.3223 or fill out our contact form to schedule an initial consultation. We are located in Mentor, Ohio and serve neighboring areas too!